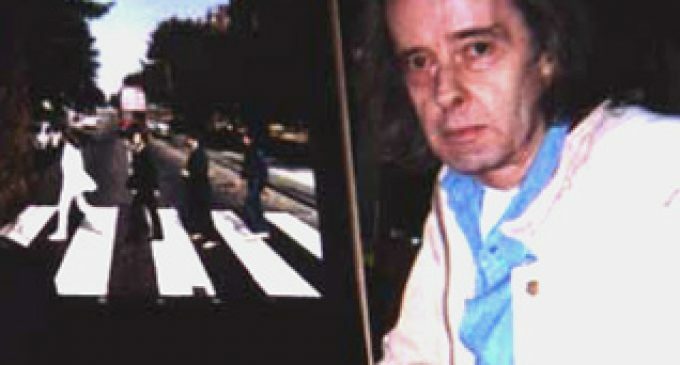 Paul McCartney chose Iain MacMillan’s shot for the Abbey Road cover in 1969. The street would eventually become as famous as the music itself thanks to the photograph Iain produced. Mr MacMillan’s work with John Lennon and Yoko Ono also included working on record sleeves for Live Peace in Toronto, Give Peace a Chance and Happy Xmas (War is Over). He also shot the album cover for Something’s Burning by Kenny Rogers and took portraits of various celebrities from the world of sport, acting and pop music including Stevie Wonder, Twiggy, Floyd Paterson and Maggie Smith. Mr MacMillan’s rich legacy in print is now being fondly remembered by those who knew him best to mark what would have been his 80th birthday. Mike Scott, originally from Dundee but now living in Kent, said: “Iain was like a brother to me. “He was reluctant and modest celebrity. The legacy is that Abbey Road became an icon but for him it was a £500 30-minute job at the time. Mr MacMillan left Dundee High in 1954 and his first job was as a trainee manager at a jute mill. The bright lights of London beckoned so he headed south and studied photography at the old Regent Street Polytechnic. His break-out work were the shots that appeared in The Book of London in 1966 and it was this that brought him to the attention of Yoko Ono. She commissioned him to photograph one of her exhibitions in St James’s and that’s how he met John Lennon who asked him to take the album cover pictures for Abbey Road. He remained friends with John and Yoko and worked with them on numerous projects as the 1970s dawned. Mr Scott said: “He spent the summer of 1971 in New York working with Yoko, John and their assistant May Pang which was the happiest time for Iain. “Iain also described driving in the back of a limousine to Syracuse when John stopped to pick up a hitchhiker. “After they drove off they realised the door wasn’t shut properly – it swung open and the car nearly crashed! “In 1979 and 1980 I spent two summer holidays with Iain in London which were great times. “Surprisingly, he wasn’t a big Beatles fan – he preferred to listen to Ry Cooder or the Rolling Stones. “The Beatles became fashionable once again in the 1980s and so did Abbey Road. “Iain would never have imagined what an icon it had become but he often felt it was like an albatross around his neck and that’s all people wanted to talk about. “He even took the photo again in 1993 for the cover of Paul McCartney’s live album. He spent his later years in Carnoustie and died of lung cancer in May 2006. The Beatles had spent a huge amount of time at the EMI studios at Abbey Road in the preceding years and were about to release an album of the same name. 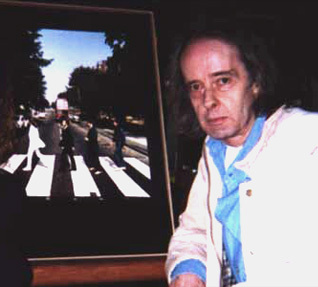 Lennon asked Iain to take the album cover pictures and Paul McCartney had been kicking around ideas of what the shots should be — the band walking away from the studio. On Friday August 8 1969 the Beatles turned up, as did Mr MacMillan with his Hasselblad with a 50mm wide-angle lens. He climbed on to a step ladder in the middle of the road, a policeman stopped the traffic and the band crossed the road in line. They did it a number of times but in the fifth shot he caught them all walking in step. McCartney chose that fifth shot for the album cover and the rest is history. By the middle of the 1970s he was teaching photography in Stoke-on-Trent and is remembered as being painstaking, but lively, in passing his skills on to students. By the 1980s his images were to be seen in galleries across Europe and the US. They became iconic as the BBC used his work in their ‘The Rock and Roll Years’ series. Later that decade, after his parents died, he came north to Carnoustie, but continued to photograph people, animals and the landscape.